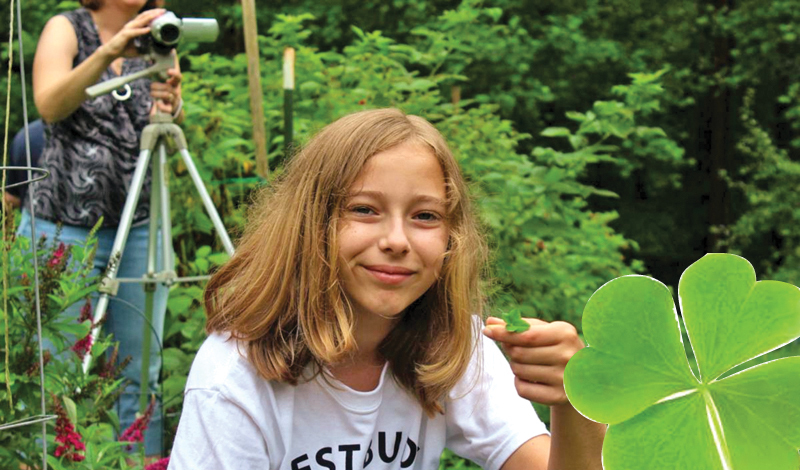 A 10-year-old Virginia girl didn’t even have to leave her back yard to set the Guinness World Record for finding four-leaf clovers. Robert and Sara Borka said their daughter, Katie, has a unique talent for finding four-leaf clovers, so they encouraged her to try for the Guinness World Record. The record-keeping organization said it did not have a previous entry for the record, so officials determined the girl would have to find 25 of the clovers to set a new record -- something she accomplished in the first seven minutes of searching in her family’s Spotsylvania County back yard. The girl said she had to throw out several clovers found to have five, six, seven, eight and nine leaves, leaving her with a total 166 clovers by the end of the hour. The parents said they have submitted the required evidence to Guinness to get Katie’s official certification as a record-holder. The record attempt has made Katie a popular local figure, with even the Spotsylvania County Government offering its congratulations in a Facebook post.